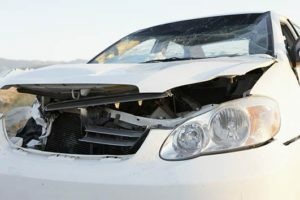 Auto accident victims go through a lot more than we can imagine. They are traumatized and agonized. At certain times, they feel like all hope is lost. For these people, there are just too many things to recover from (injuries, body fitness, mental stability, and finances). Often times, these victims are unable to fight for compensation all by themselves and this is quite understandable as it is an uneasy thing to do. There are quite a number of legal outfits that offer these kinds of services to injured victims but there are a few standard ones. Rawa Law Group is a superior five-star law firm with over 55 years of combined legal experience. We are ready and willing to fight aggressively for accident victims in Ontario. We put in the effort towards maximizing your accident claim settlement. Our team of seasoned auto accident attorneys has no problem with paying you a visit at home or in the hospital. Our clients also enjoy free case evaluation and we do not get paid unless we win your case. We offer relentless, tireless, advocacy for the injured and also keep you abreast of all developments as it concerns the case from start to finish. All auto accident victims in Ontario seeking to get compensation are encouraged to reach out to us via the contact details written below. At Rawa Law Group, we have the legal expertise to fight for your right.